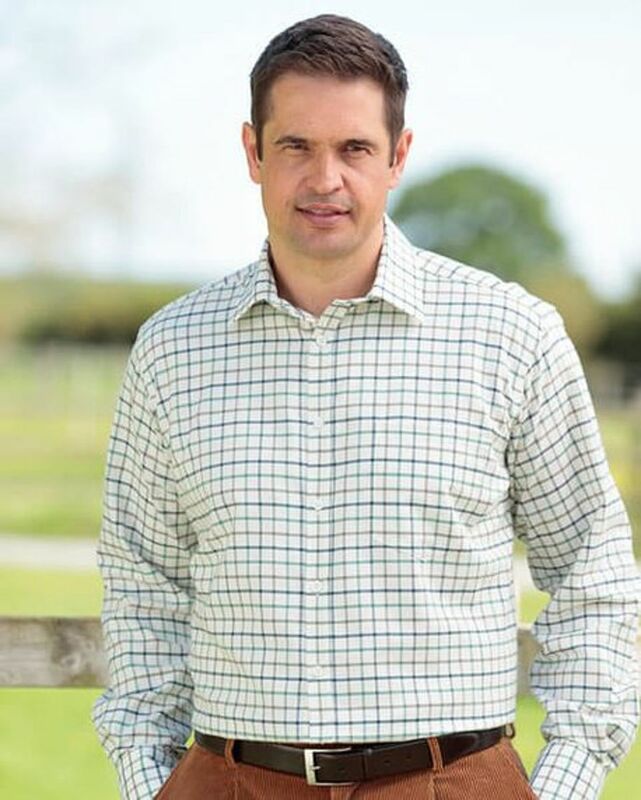 Men's cotton twill check shirt in blue, brown and green. Machine wash. Generously cut from cotton twill with long tails, breast pocket, classic collar with removable stiffeners and single cuff.